The AQUAswitch is designed for use in shallow and deep water conditions. It can be combined with subsea instruments and systems. This equipment can be activated and deactivated securely at any point during deployment. • The AQUAswitch gives you the power to turn off your instruments at any given time, to prevent the wastage of memory and battery life, saving you both time and money in the field. • No power is needed to operate the switch. • The device can be operated by a diver or ROV. • The switch is able to integrate within an existing system. 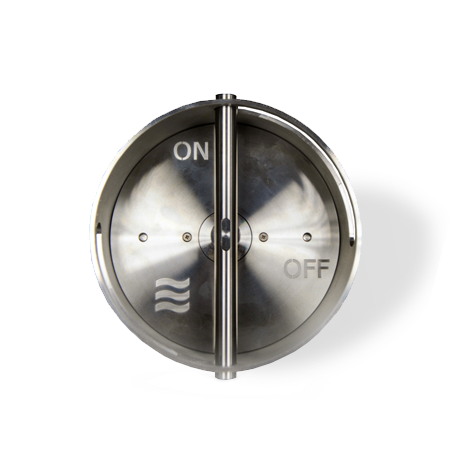 The switch is designed to be manually turned on or off by an ROV or diver. Therefore, underwater vibrations or materials won’t affect the condition of the switch.